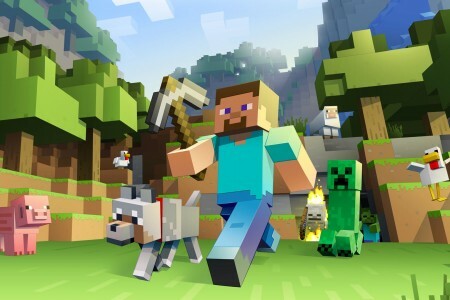 Minecraft games — free online HTML and Flash games — play for free! Minecraft - it is huge world. World of adventure and exciting discoveries. World, where almost everything is possible! It took only a few years for Minecraft to evolve from an ordinary sandbox game to something very big and meaningful, it becomes a real subculture with a considerable fan-base with millions of players. This game united countries, societies and surpassed all of other popular blockbusters of its time from the most famous developers! Thousand and millions of people are discussing this great game on different forums, talking about the latest updates, developing amazing maps and locations, new textures for items, creating new modifications and plugins. Minecraft is so popular that every year a special event for fans called Minecon is held. 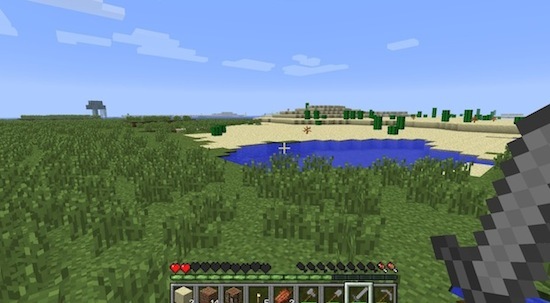 At first this game wasn't a unique at all, because even before it was released there were a lot of other game projects that were very similar to Minecraft in visual and graphical style. 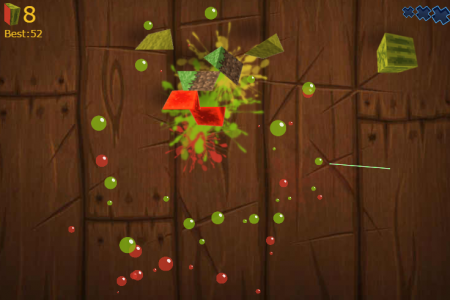 The action in these games also took place in cubic and pixelated world. 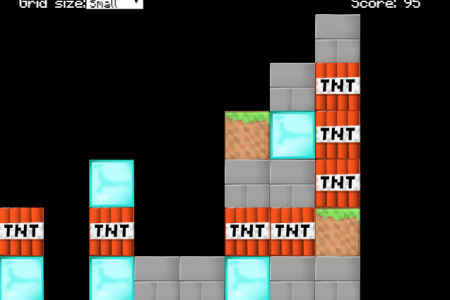 The game called Infiniminer was one of the ancestors of cubic world games. In Infiniminer players should find all red cubes, it was a very popular game among indie fans, but it was not very interesting - it has no special idea that could attract more players and involve them in this fantastic world so bad that they could forget about the entire thing happening in real life. Also the world in Infiniminer is much smaller than in Minecrafte. 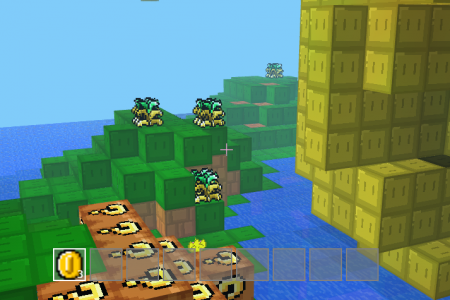 Marcus Persson, creator of Minecraft, decided to borrow the idea of cube world and one week later he released the first alpha version of his upcoming hit. Persson was a good programmer; he developed different games since he was a child, that’s why it was very easy for him to develop another game on Java. 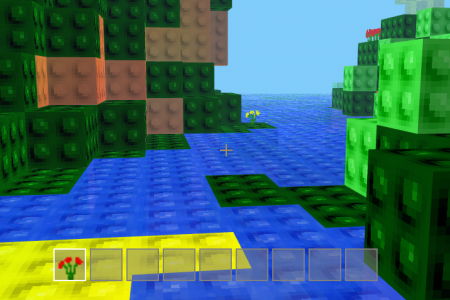 He also created simple low resolution textures (actually they are so simple that could be created even by a child). Marcus (or Notch as everybody calls him today) has a great idea to combine sandbox game with survival game. That’s why in Minecraft player have to gather resources such wood, iron, coal and others and craft weapons from them. 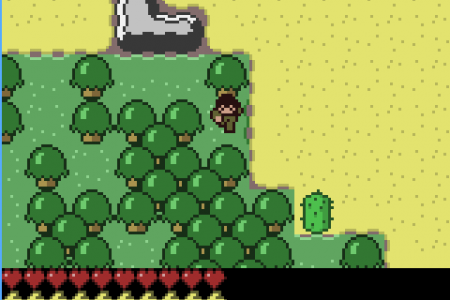 In very first alpha the most of items which could be created was just tools for gathering resources. Later developer added another type of items - for house decorating and so on. Another great feature of this game was simulation of processes which are common for real world such as day and night cycle. Notch even created in-game clock which of course works is faster than in real life. And when the sun goes down dangerous creatures are getting out of their dark dungeons and trying to kill our hero. So the main aim of the game was to survive in the first night after starting a new game. But also there was another mode in which player could create his own world with different structures, fortresses and even big cities from different blocks. Alpha and beta testers of Minecraft loved this game so much that they are started to create first modifications for the game, which allowed changing textures and creating more complex buildings. Using high resolution textures people could create copies of famous monuments, world-known attractions and of course different fantasy worlds from The Harry Potter and The Lord of The Rings universes. Thanks to these modes Micraft soon become very popular among girls and boys - first in Swizeland, where it was created, and then in USA, Europe, Russia and other countries from all over the world. 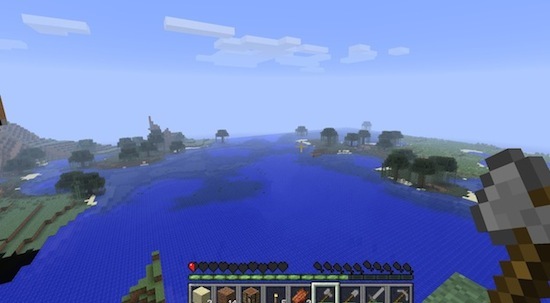 Inspite of its growing popularity the game still remained in beta test phase and only before the end of 2011 players saw the final release of Minecraft. Now you can play it on your desktop Windows PC, MAC OS, Linux and also on mobile devices - smartphones and tablets on iOS and Android. And even console owners can buy and play special console editions of Micraft which is adapted for playing with gamepad. Thanks to its simplicity original 3D Minecraft works almost on every PC and laptop. It is only requires 200 megabytes of free disk space. But those who bored from original game can play Minecraft mini games for boys and girls on our website! 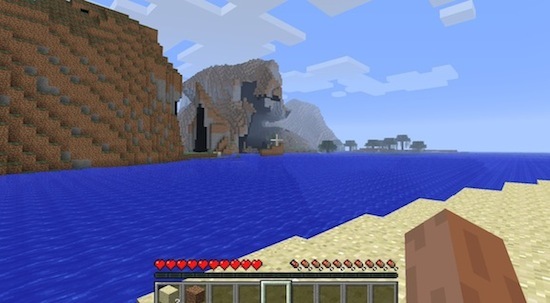 In some of these games the action takes place in 2D world, the others are very similar to its full-featured ancestor and the others are just simple arcades, whose are using some gameplay elements from Minecraft. 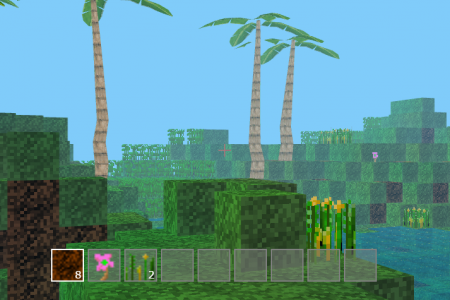 For example - blocks, textures, resource gathering system with different tools and so on. 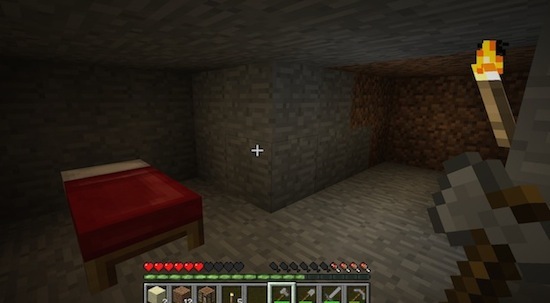 In original Minecraft you can choose among two available game modes. First one is survival - probably the most interesting of all game modes, which to be honest is not very playable, because it is rather boring to repeat the same actions again and again, but you can avoid it by using some modifications. When you create a new world in this mode and start playing your inventory is empty. There is nothing here - no clothes, no weapons, no food! Time to move on and find something as soon as possible! First look around and find the sun - you can guess what time it is using the sun! If it is right on your head than it's about 12:00 pm. Now, when dangerous creatures are still in their dungeons, you can gather some wood which is necessary for creating wooden tools. After making wooden axe and pick you can gather even more wood and then go find some coal to create torches whose could help you at night. Then you can find some iron and create more powerful and more resistant tools and weapons. The last ones are very important - with weapons you can defend yourself against creatures and kill some animals for food. Pay attention to in-game time as it runs very fast and if you notice that the sun goes down and becomes darker - build your house as fast as possible! You can build you first shelter anywhere - even in the rock or in the dungeon. Use torches for lighting you shelter - they could be created from wood sticks and coal. If you still didn't find any sheep - you can't create a bed and you can't fall asleep. All you have to do then is to defend yourself against creatures and build your house all night long. Playing Minecraft Online in survival mode is far more interesting, because you can fight with monsters, gather resources and create buildings with your best friend! We can give you some tips for survival in Minecraft online. Fist - stick together, you should not get lost, because if somebody got lost you may never meet each other again. Also it is very important to play with honest friend, with a person you can rely on. The problem is you can't play Minecraft online for free - it costs a couple of dollars for one person and we don't recommend you to download pirated copy of the game from torrent because it could be very unstable, laggy and buggy. Also you can play on custom created maps in survival mode; these maps could be created by other players. Some of them are good for single player, others are great for cooperative. Creative - another great Minecraft game mode where player become the god of a new world. He gets invincibility, availability to fly everywhere on every height and use any resources and blocks without any restrictions. He also can produce animals and use liquids as he wants. In Creative mode player can build any structure of any heights from any amount of blocks. Only one resource you can waste there is the time. On PlayTod you can play Minecraft for free, no registration needed, because all games on our site are opened for all our visitors - they don't need to install anything! Boys and ladies - chose the game you like and enjoy the cube world you like, the world full of dangers and fun adventures!